When the time came for us to plan and organize a nursery for our little girl I knew I wanted something classic and full of clean colors, also something I could use for our next little one, whether it be a girl or boy. I played around with many different ideas but my mind kept coming back to one of my favorite children's authors, Beatrix Potter. It took me forever to find a comforter for Ellie's nursery. There were so many expensive blankets and I just couldn't justify spending over $100 for a blanket. Thankfully we found this one at Barnes and Noble. Quite unexpected but it was exactly what I wanted. (p.s. the blankets and stuffed animals in the crib are just for the picture.) Ellie's crib was a baby shower gift. It was purchased from Target. We were able to find the small Peter Rabbit Collection books at a local children's consignment store and the Peter Rabbit prints were a gift from family. You can find similar prints of Peter Rabbit or other Beatrix Potter characters on Etsy. The shelf was from Ellie's grammy and the hats were also gifts from family members and friends. The Jemima Puddle duck was from amazon. I loved these bookends I got as a present from my cousin. These too were from Barnes and Noble. Eleanor's room was a bit cramped so thankfully we were able to have a little nook in our house for these extra items and awesome shelf we got as a gift. My new planner!! Isn't it beautiful?! 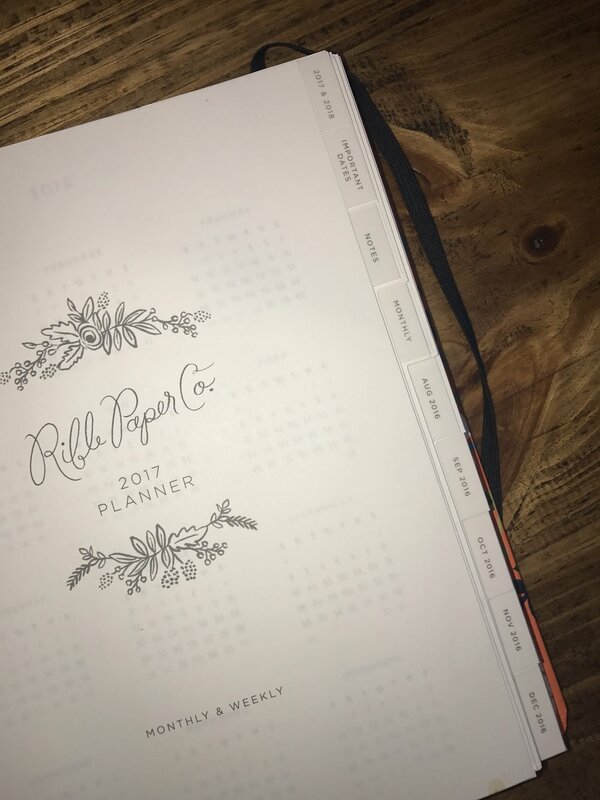 Nothing brings me more joy than paper, pens, and planners. I then use the back folder flaps for paid and unpaid bills, as well as stamps and coupons I'll eventually use!